Have You Ever Tried Sprouting Indian Corn? 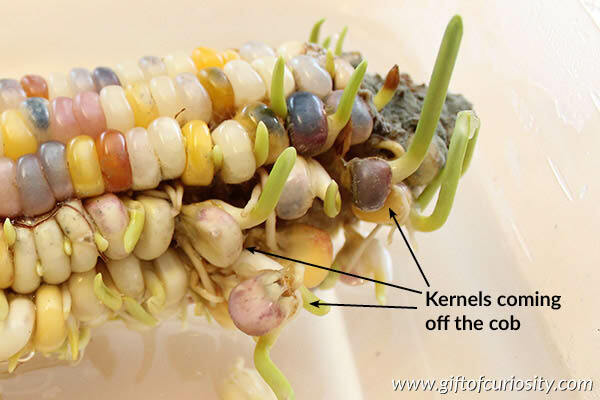 Here’s a fun science activity for the fall: sprouting Indian corn. I have never tried this (and of course you could use regular corn as well), but Gift of Curiosity has the lowdown on how to get it to work successfully. It’s pretty easy to do, but it does require some time and patience, and may involve a little mold. But it’s cool to see the little sprouts, which make it obvious that corn is a seed and each kernel could potentially make a new plant. Have you tried this? I’d love to hear how it went for you.